One thing that is slowing down development at this age is the number of players on an academy roster. Not only do players lose playing time, but they don’t get enough reps or individual attention. Soccer drills for ages 7-9 done the right way put players at a greater advantage to make select, middle and high school team one day. Nowadays many players are working on the wrong skills or simply not getting enough correction in training. If the form/mechanics is not being corrected then development is delayed. When you know why you are doing something it helps kids develop faster. When they know why they are doing something it helps them to make sense of how they can use it in a game. If we can actually put ourselves in the situation before it ever happens it helps. Even go as far as telling the players to “pretend they are in a game” when working on fundamentals. You will see the players perk up and get excited. This extra pep in the step gives them more motivation to do their best. As coaches or parents, any fun positive way to get kids to improve while having fun is a win. Take advantage of your warm ups using coordination & agility, because trust me this age needs both. For even the best young athletes ages 7-9, they will have trouble with coordination / agility. It’s really interesting to see that once they hit age 10-11 they can handle basic agility movements easier. An even more interesting thing about agility and different ages is once they get up to their teenage years it’s tough again. One reason the teenagers have a hard time is they are so much bigger and if not trained still clumsy like a younger kid. Last the teens get more embarrassed, which makes it harder for them to relax and get the drills right. I don’t think there is a perfect time to start agility, but if I had to pick an age I would say this age group of 7-9. If you have kids as young as 4, 5 and 6 years old, don’t doubt their ability because they can do a lot of cool agility drills. Hopscotch exercises are wonderful for any age as it not only gets them coordinated but it makes them happy. The key for all ages is the first time or two or three, the kids need to do it slow and correct. When I say slow I mean slow. In just a few seconds the brain and muscles will connect and they can go a bit faster. Coordination over speed! This is one element you want to spend lots of time on early. This is one skill that the players can literally get better at every time they work with the ball. As long as they are doing the right drills and doing the drills correctly. A player could be doing the right drill but are they doing it using the correct part of the foot and are they bending their knees? I actually have online ball control courses for every level starting with fundamentals all the way to highly advanced level. Some players ages 7-9 can actually do the hardest levels, but I recommend you first get your foundation strong. 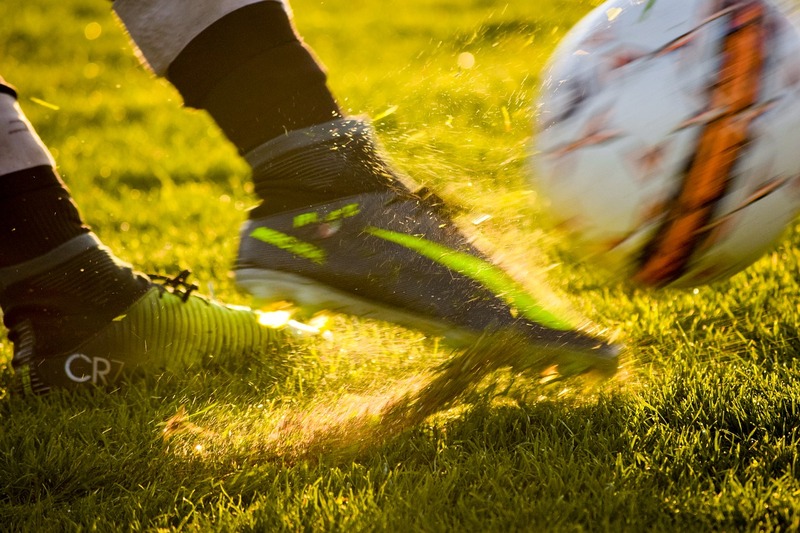 When practicing footskills / dribbling, using the correct part of the foot is vital because the player then improves time after time the right way. What about the players who spend 2-3 years doing the drills with the wrong form? It can take a long time to break bad habits, so make sure you are getting the right drills. Often times players don’t see the drill performed by the coach, instead they’re just told what to do. If a player does develop bad habits don’t worry, they can be broken. The key is that the player is patient in re-learning the skills. It can be so frustrating to break these habits that the players don’t even want to practice them. So again remind them that it will come, it just takes time. Striking for power and distance is very difficult at this age and in most cases doesn’t come along until ages 10-12+. In all fairness I would bet that most teens don’t fully know the proper way to kick a ball. And if they can, I bet they can’t using their weaker foot. For ages 7-9 we want to at least introduce it to them and let them practice it each week. One thing you can do after they warm up and get some small passes in is pair them up and have them practice it for at least 5 minutes. You have to understand that this age forgets so much of what we teach them. What I mean by this is when I show them what exact part of the foot to use and which arm to go up they don’t remember. 80% of them forget even if you go over it each week for a month. So in saying this, it’s important that we as coaches remind them how to kick. Which part of the foot, which part of the ball, bend your knees, opposite arm up and out, lock your ankle, follow through with both feet off the ground, land on your shooting foot, keep your hips and shoulders at the right place, keep your core tight/contracted. Then remind them that practice makes perfect and they are going to mess up a lot and that’s ok. The “kick” used most will be the inside of the foot. Some call it the push pass, which is where you can pass and score. Watch any young beginner age or a pro level and you will see at least 70% of the passes are using this technique. It’s so common and well know that almost every rec or select coach is teaching this. The problem is it takes tons of time and reps to teach the muscles memory and become really good at it. Then if the mechanics [form] is not right and they are spending lots of time, then they develop bad habits. For instance you want the toe to be pointed up as you connect, unless the ball is too far outside and you have to reach for it with the toe down. Ideally if you can connect the foot to the ball when it is just in front of the plant foot. This doesn’t mean you have to pass like this every time. If the ball comes in really fast or takes a hop right as you were going to connect, you might want to adjust and then go connect when the ball is under you. Some coaches would say not to do this, but I would bet that that coach who says that never played high level or they are brainwashed by the coaching course they took. 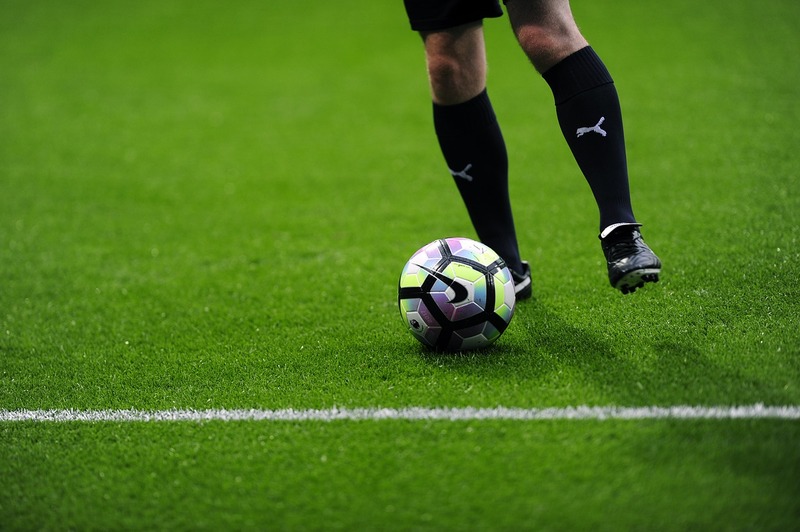 You have to remember we are not robots, so it’s important to know that there are over 20 ways to pass the ball and most people only know of two – four ways. Ask a player what they will do most in a game. Dribble, pass, shoot, receive/trap? They often times answer pass or dribble. The answer is receive. Think about all the times the ball comes to a player and then think about how they are going to lose the ball sometimes. The ball can come to you from your teammate, the other team on accident or it could be deflected and come to you. There are certain pro players like Toni Kroos, Modric & Sergio Busquets who complete 100% of their passes against world class competition. These players play very simple, because they have such a great first touch which allows them to pass the ball before defenders can steal the ball. Defending 1on1 is important and can be done with small space first, so that the defender can get some early wins. Then make the space larger and more game like and in this drill teach them how to jockey. Jockey means don’t go straight for the ball or player, just stay on your toes and back peddle or side shuffle backwards. This allows more help to come. The last thing you want in a big open space is to get beat right away. So try to slow the attacker down by the jockey movement. Another top soccer drill for ages 7-9 is 2v2’s. In a 20 x 20 yard space have the ball start with 2 players who pass the ball to the other 2 across the grid. Once the ball is first passed the play is live and the 2 who receive the ball try to get the ball to the other side by passing &/or dribbling across the line. You can also use a goal to make it more game like. Kids would love having a goal included. 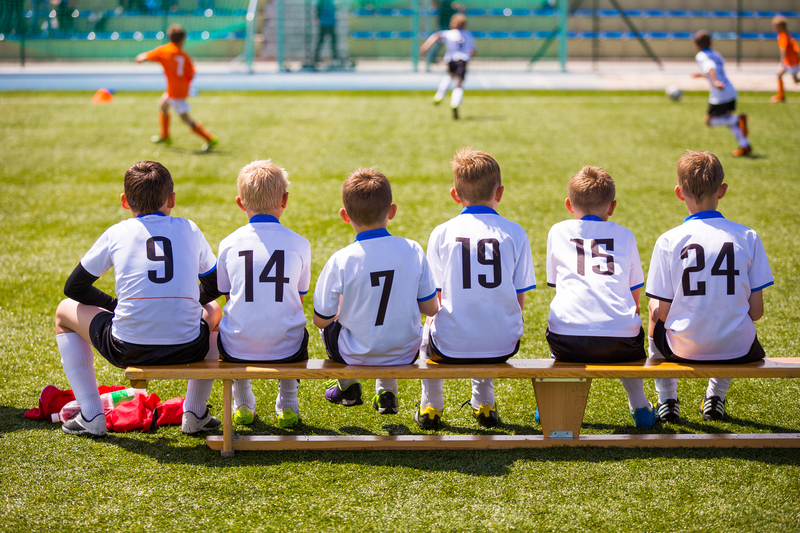 There are tons of kids who are playing on a certain club team but not getting much play time. This is one of the worst things any youth player can do – long term. For example, I knew of a player who was really good, but played on the top 2 teams in Texas and America at age 12. He hardly ever played because he was one of the weaker players on the team. They ended up continuing on this team for several season, knowing the situation would probably not get any better. If he would have gone to a team ranked 7-10 he would have been a starter. Just because you play on a great team doesn’t mean you will develop like you think. Getting minutes in the game is way more fun, plus this is where you gain experience. The only good thing that player was getting was good training, because he was being challenged. Emotionally players can lose belief and that is the last thing you want for a player. Split your practice up in three parts. First part let it be a warm up with and without the ball. You can start them off with any kind of agility and then work with them on footskills [dribbling and stationary ball control]. If you want proven footskills that I will forever use then click here and get my ball control courses. If players do this for 2 months their footskills will improve like magic. In the second part of your soccer drills for ages 7-9 – work with them on skills that they will do in a game. Skills like trapping, passing and shooting. You can split your team up in two groups so that they can compete against each other. The competitions will raise the energy. You can have 3-4 stations where the ball starts on the goal line, 10 yards away [to the side] of the goal. The first player passes to a second player who’s 5-10 yards away. The 2nd player has to receive the ball and turn with it, to then pass to player three. Player three received and then goes to shoot on goal. The third part of a practice to teach soccer skills to ages 7-9 is split them up and let them play/scrimmage. Besides shooting games, scrimmage is one of the most fun and this is what mimics the actual game most. All three of these practice plans are vital for this young age and really every age. Some of the best soccer drills for ages 7-9 have to be fun and filled with proper technique. Many blogs and books will say to just make sure it fun. Then others will say make sure it’s filled with tons of touches. Well folks, that is not enough. It needs to be both fun and filled with technique that makes sense. If it’s only fun then they will not improve and if it’s only lots of touches, what if the touches are not right and even if they are what if the kids don’t enjoy it. I also tell my players at this younger age that I don’t expect for them to be great at it today. I tell them that I am teaching some of this to them young and that they probably will never hear it from a coach the rest of their lives. Not because the coach is bad, but because the team coach has a lot to teach and developing your skills even 50% is really not their job. Players need to get out and practice on their own. The sad thing is nowadays with technology and YouTube and Freestylers, kids are working on the wrong stuff. Keep it simple and work on your passing and first touch, not silly juggling tricks or free kicks every time. These soccer drills for ages 7-9 work as a proven guide for any coach, parent or player who wants more out of their training and development.